UCHOIST - Double-Rail Electric Chain Hoist Hoist Type : DH1 / DH2 /DS1 / DS2 Lift (M) : 3M (Standard Lift Height) Load (ton) : 1 ~10 ton (available) Speed (m/min) : One Speed & Dual Speed & Inverter Dual Speed ( High Speed or Slow Speed ) No. of Chain Fall : 1 / 1 x 2/ 1 x 3 / 2 x 4 Canvas chain container is supplied as standard parts. Frequency: 50 HZ & 60 HZ Email : ycmc.hoist@msa.hinet.net Features With the newly developed chain hoist, we meet our own high standards in terms of quality and innovation. At the same time, we also provide what you expect from the market leader. 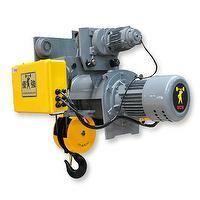 The UCHoist chain hoist enables you to achieve high productivity by means of smooth and sensitive handling. 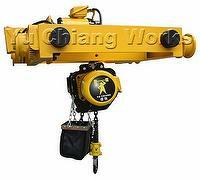 Yu Chiang Machinery is the Professional Hoist and Crane Manufacture in Taiwan. 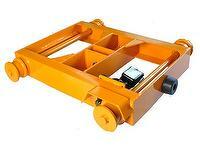 With over 40 years experience in crane field, we have achieved various applications to fulfill the market demands. Our product lines covers electric wire rope hoist, electric chain hoist, open winch, crane construction design and build up. UCHOIST is Yu Chiang Machinery's own brand to explore the market around the world. We now are aggressively looking for the partners locally. Please feel free to contact with us for more information.